A new State Government Tax Class Report is available for US customers. This report shows tax movements for State Government tax classes. Wines that have a tax class of 14 to 16% in vintrace are included in the Not over 16% tax class in the Federal tax report, but are included in the 14 to 21% tax class in the State tax report. You need to reclassify your wines to Federal and State tax classes to be able to use this new report correctly. Please refer to this article on how to reclassify your wines. The report can be found by clicking on the report icon in your vintrace desktop. Go to Government Reports > State Government Tax Class Report. 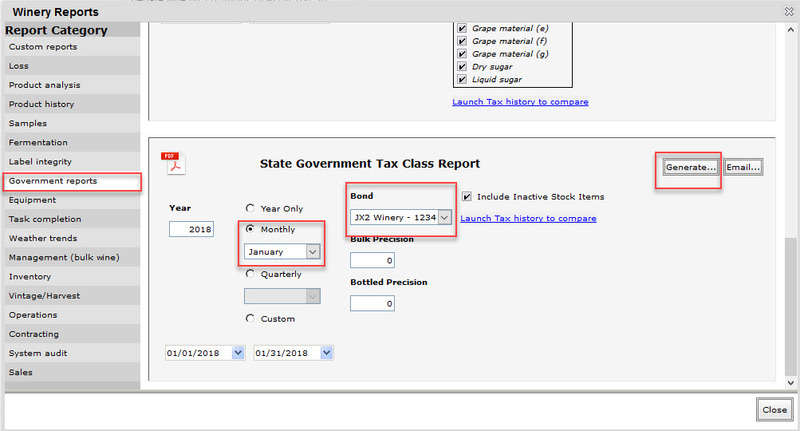 Select the period you want to run your report and select the Bond, then click Generate. 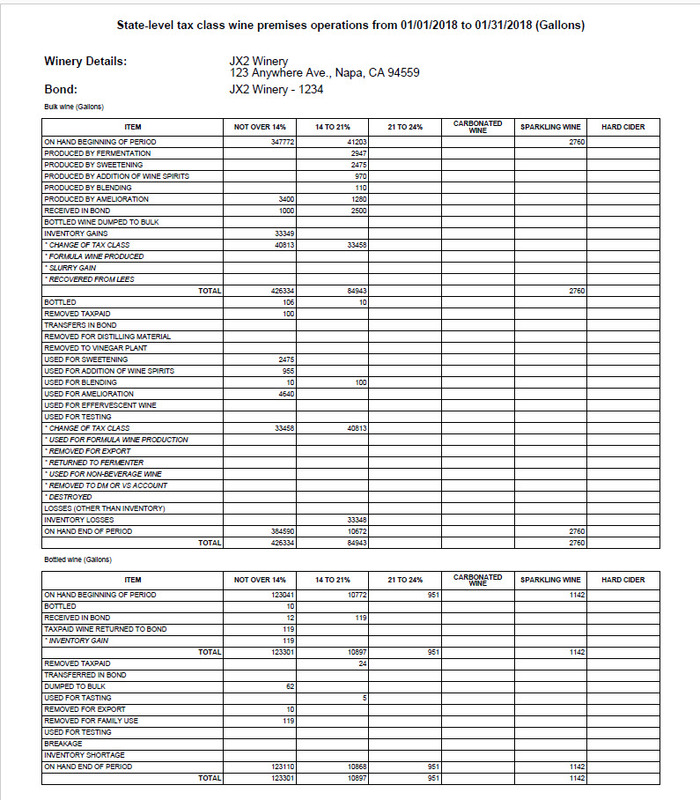 This generates your State Government Tax Class report for your selected period and bond.